eGPU or External Graphics Card Box is an external device that can be used to enhance your laptop graphics performance in games or in high-end graphics applications or softwares. If your laptop has onboard or integrated graphics or an inferior graphics card then by using external GPU box you can easily increase your laptop graphics card performance to much higher level and can play latest games on high-end settings at 1080p or 1440p with comfortable frame rates. An external GPU box or eGPU cannot be used with all laptops or computers as they have some basic requirements which a laptop or mini-PC should have and also the laptop / mini-PC should support external graphics card. You can check the basic requirements of an eGPU box by going to its official website page. An eGPU box is a fairly portable device and you can carry it with you quite easily. 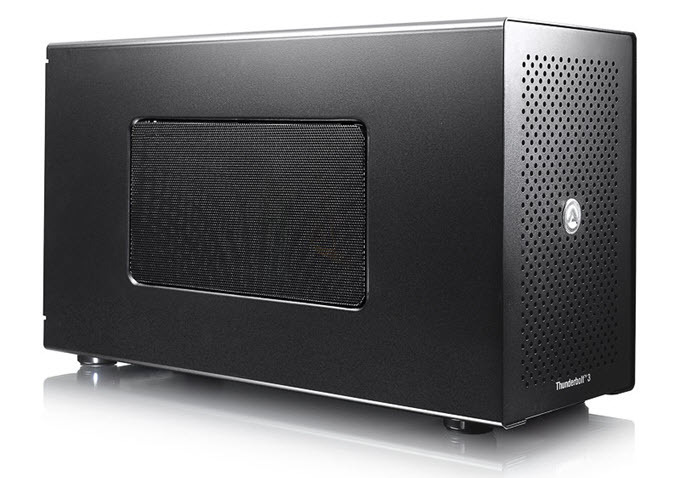 Case – Case is the enclosure that holds all the components of eGPU box including external graphics card. It is the body of eGPU box and is generally rectangular in shape. Generally it is made up of strong metal like steel or strong alloy. PCI-Express x16 slot – The eGPU box comes with one PCI-Express x16 slot where you can plug in your graphics card. The PCIe x 16 slot is located on a circuit board and the version of PCI Express can be PCI-E 3.0 or PCI-E 2.0 depending on the eGPU box, but generally you will find PCI Express 3.0 on the latest eGPU boxes. Port / Interface – Every eGPU box comes with port or interface by which it connects to your laptop or computer. It is usually a high-speed port because graphics card process lot of data and requires high bandwidth. In latest eGPU box you will generally find Thunderbolt 3.0 port, USB 3.1 port or any other high-speed proprietary port. Power Supply – eGPU box comes with power supply or PSU to power the graphics card. The power supply has to small and it is generally a Small Form Factor or SFX Power Supply. 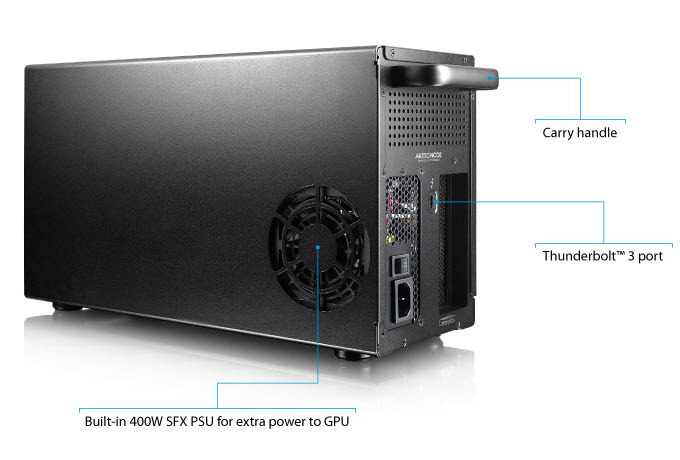 The power supply in eGPU box is enough to power a single high-end graphics card and it may come with 6-pin and 8-pin PCI-Express power connectors for the graphics card. An eGPU box with 400W PSU is more than enough to power a high-end graphics card because the PSU has to supply power to graphics card only. Other components may include a case fan for cooling & airflow and USB ports as part of USB Hub. Note: eGPU box comes without graphics card and you have to buy a graphics card separately for it. Here are the best eGPU Boxes for running External Graphics Card (eGFX) on laptops and computers with Windows and Mac OS. You can use these external graphics card boxes to increase your laptop or mini-PC gaming performance or performance in professional graphics applications or virtual reality (VR). This is unarguably the best and affordable eGPU box that can be used to install external graphics card to your laptop or mini-PC. This eGFX box is the perfect solution to increase your portable computer graphics performance whether in gaming, VR or in high-end graphical applications or softwares. This eGPU box supports wide range of graphics cards from Nvidia and AMD and it comes with one PCI Express 3.0 x16 slot. AKiTiO Node eGPU Box uses latest Thunderbolt 3 (USB Type-C) port that provides maximum data transfer rate of 40 Gb/s for lighting fast operation. This eGFX card box is VR ready and can support high-end graphics cards such as GeForce GTX 1080 and GeForce GTX TITAN X. For power, the eGPU box comes with an inbuilt 400 Watt SFX PSU that has 33A current on 12V Rail and also comes with two 8pin (6+2) pin connectors to provide power to high graphics cards that require additional power from the PSU. The device is compatible with laptops, Macbooks and PCs having Thunderbolt 3 port and support for external graphics cards. The device officially supports latest Windows 10 OS but you can also run it on Mac OSX Operating System. For Mac OSX you will require an enable script which you can get from the website egpu.io. Note: This eGPU Box may also support laptops without external GPU support but having a Thunderbolt 3.0 port. 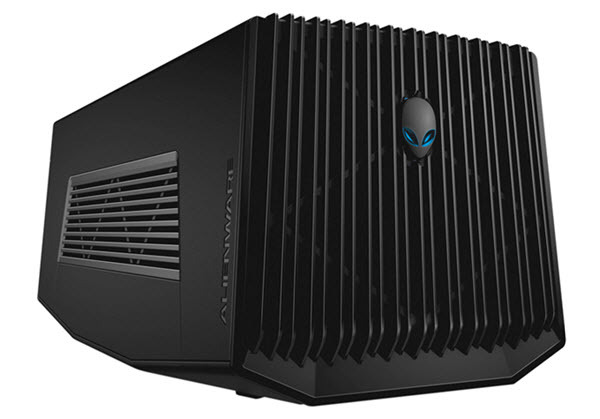 This eGPU box is only meant for Alienware notebooks and PCs that include Alienware 13 R2, 15 R2, 15 R3, Alpha R2, M17xR2, M17xR3, X51 R3. This eGFX box supports PCI Express x16 graphics cards and comes with 460 Watt power supply, four in-built USB 3.0 ports and an Alienware proprietary port (for PCI-Express connection) for connecting to supported Alienware laptops or PCs. Using this Alienware External Graphics Card box you can really boost the performance of your Alienware laptop to a greater extent. This eGPU works only with Windows Operating System. External Graphics Card Adapters are the devices that are used for adding an additional display port to your laptop for setting up multiple monitors. 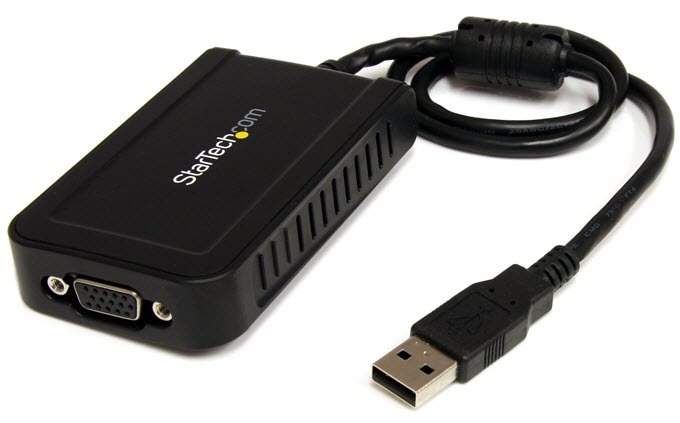 These devices uses the USB port and have one or multiple display port (VGA/HDMI/DVI/DP) on which you can connect your monitor and have multiple monitors with your laptop or PC. These are small external graphics cards can be used for basic work, video playback but are not meant for gaming. 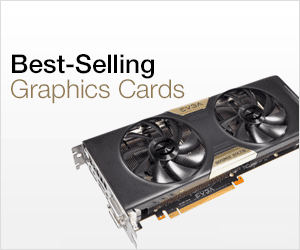 They are also known as USB Graphics Cards or USB Video Cards. Here I am going to list down the best external graphics card USB adapters for setting up multiple monitors with your laptop or PC. 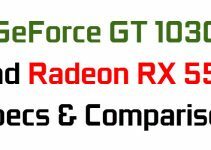 All these below mentioned external graphics cards draw their power from single USB port and they do not require any additional power. 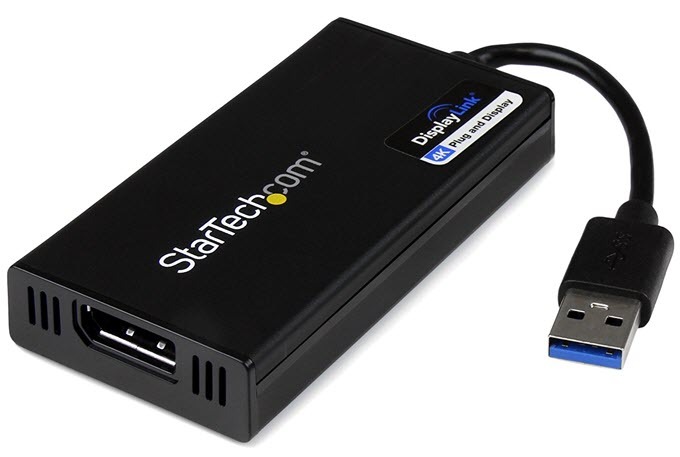 A basic USB to VGA external graphics card from Startech which can support resolution to up to 1920 x 1200 pixels. It comes with 32MB DDR SD RAM and the device works pretty well and can be used with your windows laptop or PC for extending display or setting up multiple monitors. This external video card has small form factor and does not require any additional power other than from USB port. 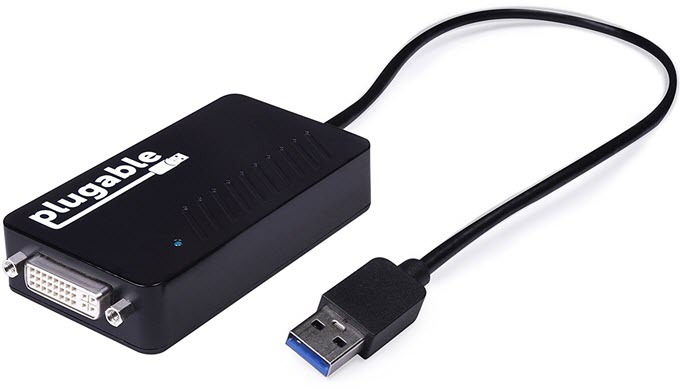 This is a high-speed USB 3.0 external graphics card adapter for connecting multiple monitors to your laptop or mini-PC. It can support resolution as high as 2048 X 1152 pixels and has got one DVI output port for display. It comes with DVI to HDMI and DVI to VGA adapters so as to connect monitors with different ports. You can connect up to 6 monitors to your laptop or desktop PC (one adapter required per monitor). This is a reliable external graphics card adapter and it can be used with windows operating system. Highly Recommended by me. A decent quality USB 3.0 external video card to connect your monitor using HDMI port. This device can support up to 1440p resolution and includes support for audio through HDMI port. The various resolutions supported by this external graphics card adapter include 1920×1080 @ 60Hz (1080p), 1920×1200 @ 60Hz (WUXGA), 2048×1152 @ 60Hz (QXGA), 2560×1080 @ 60Hz, 2560×1440 @ 50 Hz (1440p). It works with Windows and Mac OSX Operating Systems but not on Linux. Diamond BVU3500H is a high quality USB 3.0 external graphics card adapter having HDMI port with support for audio. It uses DisplayLink DL-3500 chipset and supports maximum resolution of 2560 x 1440 pixels and 6 channel audio (up to 5.1 channels). You can use this device to hook up 6 monitors (one adapter for every monitor) to your laptop or computer. It also supports protected video playback HDCP 2.0 and a HDMI to DVI adapter comes included with the device. The device works on Windows, Mac OS and Android operating systems. 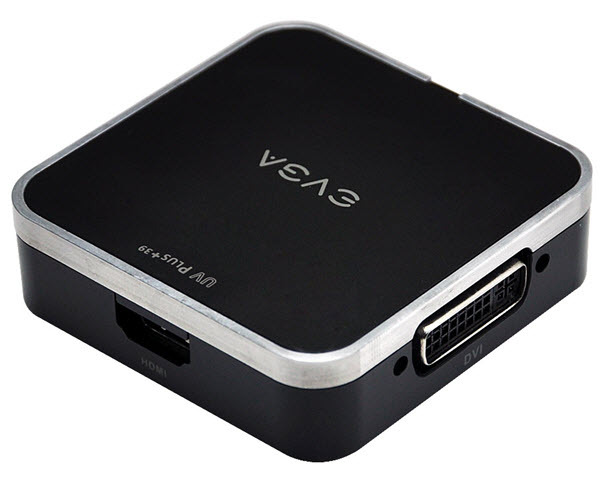 EVGA UV Plus+ 39 is a branded external video card adapter that can support dual monitors with a single USB 3.0 connection. This device comes with one DVI and one HDMI port (with audio) and support resolution up to 2048 x 1152 pixels. It is a high quality external graphics card adapter and its features include high speed DDR memory, onboard activity LED, Displaylink Certified, loseless compression, VGA support and Windows AERO support. This device supports Windows OS but may also work on Mac too. 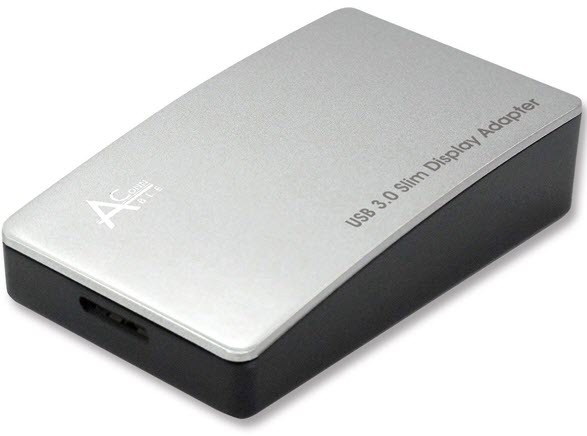 Here is a good quality USB 3.0 to DisplayPort External Graphics Card Adapter that can support up to 4K resolution. Using this device you can easily add a 4k monitor to your laptop or PC and can enjoy 4K video playback and picture clarity. It uses DisplayLink DL5500 graphics chipset and comes with 1GB DDR memory. 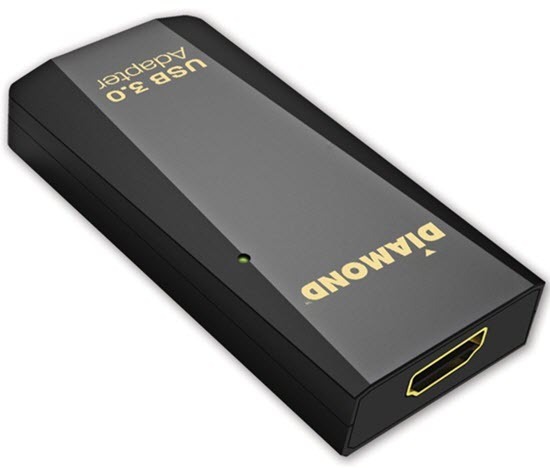 This external video card adapter also supports 2-channel audio and is compatible with Windows, MacOS, Unbuntu and Chrome OS. Another high quality 4K External Video Card with super fast USB 3.0 interface. This external graphics card comes with HDMI as output port with audio and supports Ultra High Definition 4K resolution (3840×2160 pixels). 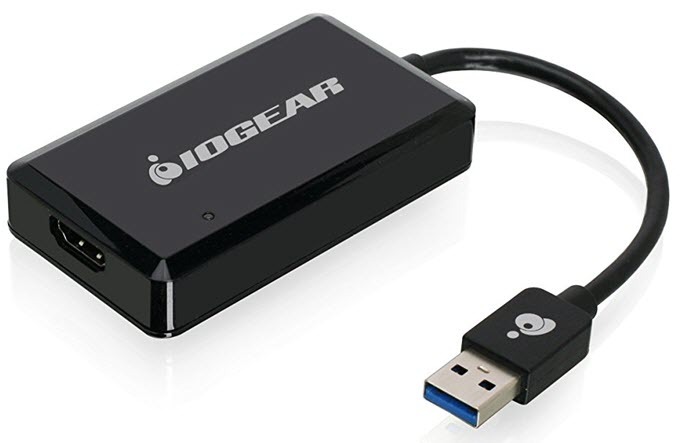 You can connect up to 6 monitors (one monitor with each card) using this IOGEAR video adapter. It does not require any additional power and uses the power from the USB 3.0 port only. Also it is backward compatible with Full HD (1080p) monitors. 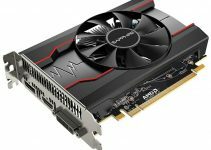 So if want to increase or extend your laptop graphics ability then these external graphics cards will surely help you to do so. If you want to boost your laptop graphics or gaming performance and want to play latest games on it then you can use the eGPU box and if you want to add multiple monitors to your laptop to increase productivity then you can use the external graphics card adapters with USB interface. If you have any queries or doubts then feel free to ask me by leaving a comment below. 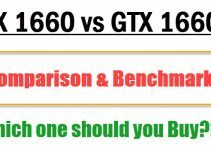 GTX 1660 vs GTX 1660 Ti: Which one should you buy? I’d like to ask you another question if I may. my son has an Alienware X51 R3- about two years old. it is liquid cooled. i think they consider it a Small Form factor. Intel says the motherboard can only handle 980, 980 Ti or Titan for the 900 series. There is a proprietary connector so i don’t think it works with other eGPU boxes. I would like to get the Alienware Graphics Amplifier and a 1080 Ti GPU . 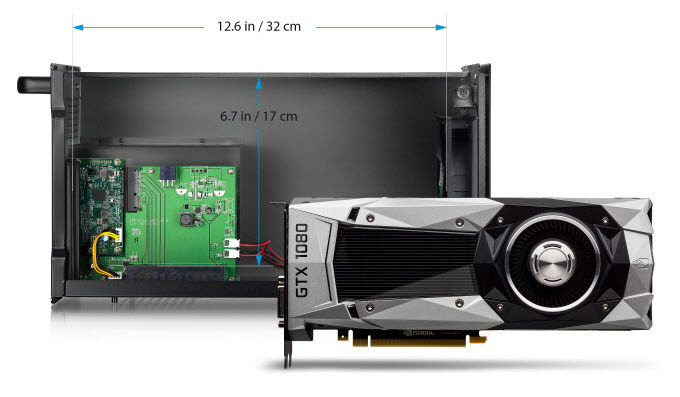 I think it only takes smaller graphics cards like the reference/ or Founders Edition. maybe some other manufactureres if just one fan- i’ m not sure on that. would you have a best recommendation for the 1080 Ti that I can get for him to use with the Alienware graphics ampifier? Also, they seem hard to find- do you know any less common but reliable sources? Generally Founders edition graphics cards are safe choices for these eGPU boxes like Alienware Graphics Amplifier. GeForce GTX 1080 Ti Founders Edition will fit just perfectly fine in this. Other Small form factor GTX 1080 Ti that i recommend for this eGPU box is ZOTAC GeForce GTX 1080 Ti Mini (https://graphicscardhub.com/best-small-form-factor-graphics-card/). If you have any other queries then feel free to ask.